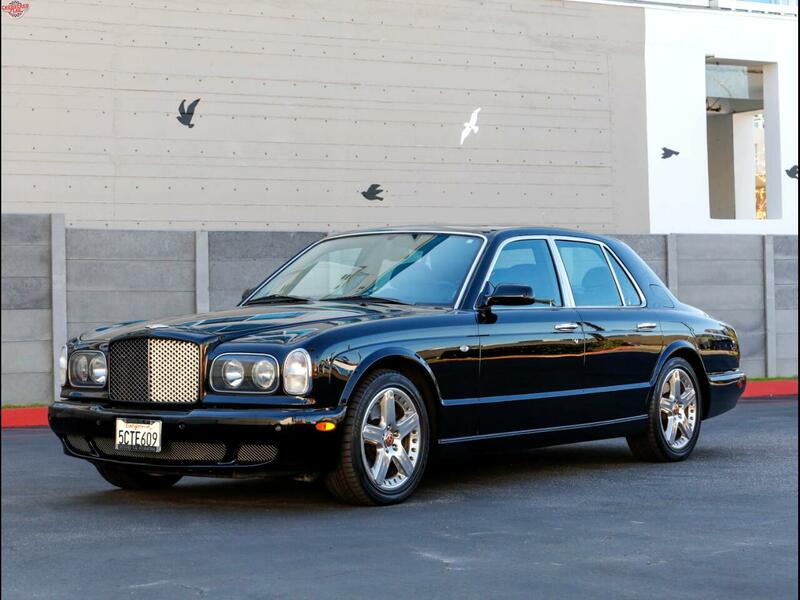 Chequered Flag is pleased to offer this 2000 Bentley Arnage Red Label in Oriole Black with Black Leather. 30,315 miles from new with clean Carfax. This Arnage was sold new in Las Vegas but moved to Los Angeles in 2003. Fantastic seemingly original Oriole Black finish with matching interior. Leather is soft with no abnormal wear. All electrics work nicely. Serviced regularly at Scott Motors in West LA by the previous owner since 2006 and fastidiously cared for. Regular hand waxes and leather treatments with Conley Hide Food. Very unique Arnage T two-peice 19'' wheels (a $15k Bentley option) were installed 6k miles ago. The turbo-charged V8 has more than 400 horsepower with 619 foot pounds of torque. Mechanically superb with no issues. Complete with books, two sets of keys, and loads of service records and maintenance history. Inspections encouraged. All sales AS -IS. Sales tax and license fees due if delivered in California. Message: Thought you might be interested in this 2000 Bentley Arnage.